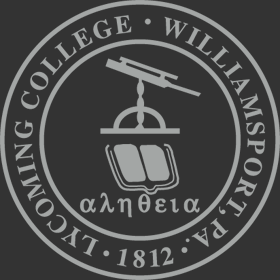 Fourteen students from the Lycoming College Theatre program participated in this year’s Kennedy Center American College Theatre Festival (KCACTF), Region II at Montclair State University. The theatre department takes a group of students to the festival each year to provide them with the opportunity to showcase their talents, present their work, compete with students from over 50 other universities and colleges in the nine-state region, and attend workshops led by theatre professionals. A’Feyah Smith, a junior theatre major with concentrations in acting and directing, received the highest recognition awarded to a student-director at the festival. She won the KCACTF Region II National Directing Fellow Award for her excellent work in the Stage Directors and Choreographers Society program (SDC). 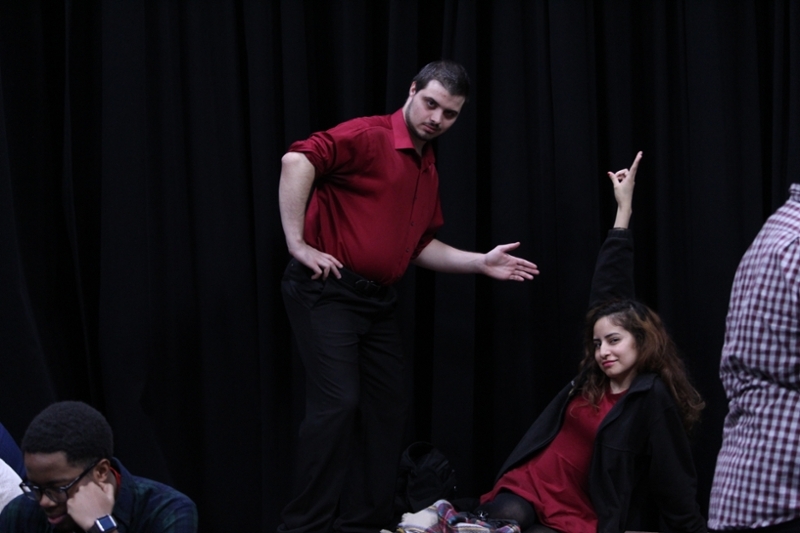 SDC is an opportunity for students to explore the craft of directing with professional directors, educators, and peers. 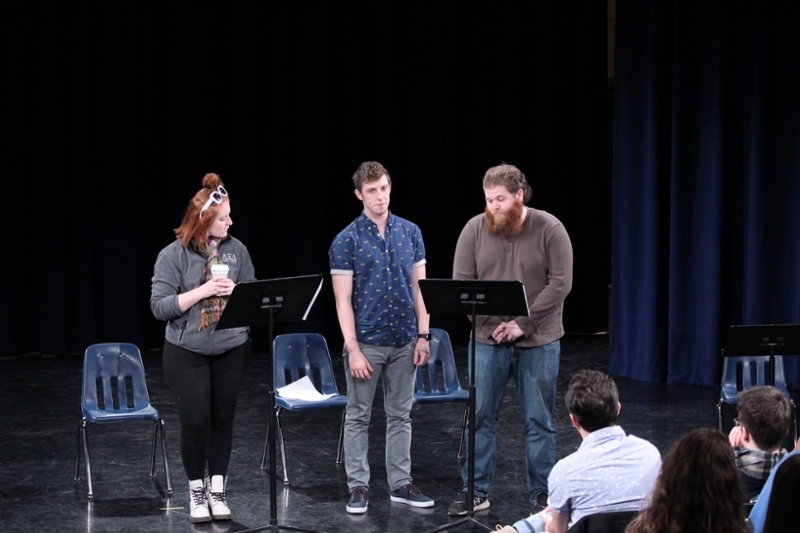 Students in Region II choose a scene from the nationally selected scenes and then, while at the festival, cast, rehearse, and present the scene, which is responded to by the festival’s guest directors. 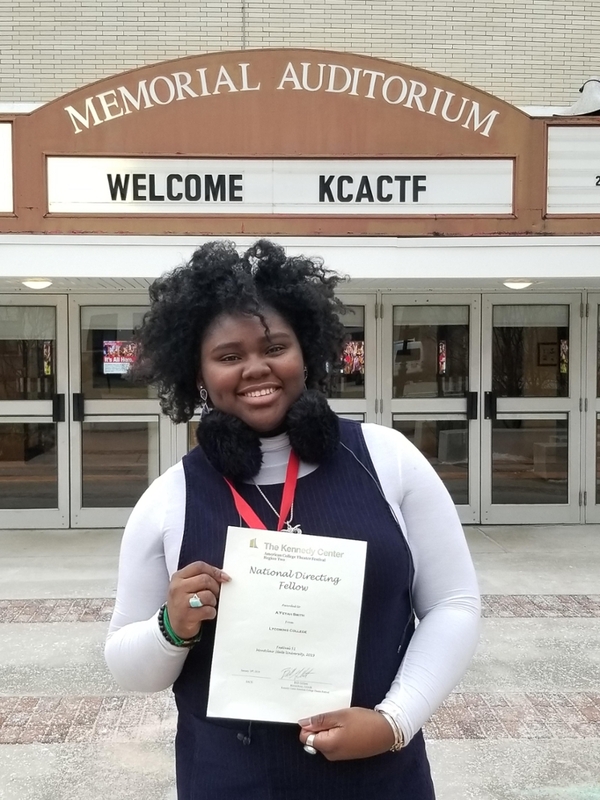 Smith is now invited to attend the KCACTF National Festival in Washington, D.C., in April where she, along with the other seven regional competition winners, will participate in programming specifically designed for aspiring young directors in the United States. Lycoming students presented their work with great success and earned recognition in other areas as well. Jessalyn Smith was a finalist in the ASPIRE Arts Leadership Program, Nicholas Auletti and Amanda Goulden were semi-finalists in the Irene Ryan Acting Scholarship Audition, and others presented their talents and competed in the Musical Theatre Intensive scholarship auditions, the Design challenge, the NPP cold reading competitions, Irene Ryan acting scholarship auditions, and many more. “The strong presentations at the KCACTF Region II are a result of the hard work of our students and the extensive, one-on-one mentoring provided by the faculty in our department,” said Biliana Stoytcheva-Horissian, Ph.D., associate professor of theatre, chair of the department, and head of acting and directing. The KCACTF is a national theatre program involving 20,000 students from colleges and universities nationwide annually, and a network of more than 700 academic institutions throughout the country. KCACTF encourages, recognizes, and celebrates the finest and most diverse work produced in university and college theatre programs. More info on the directing competition is available at http://www.kcactf.org/directing/index.html.